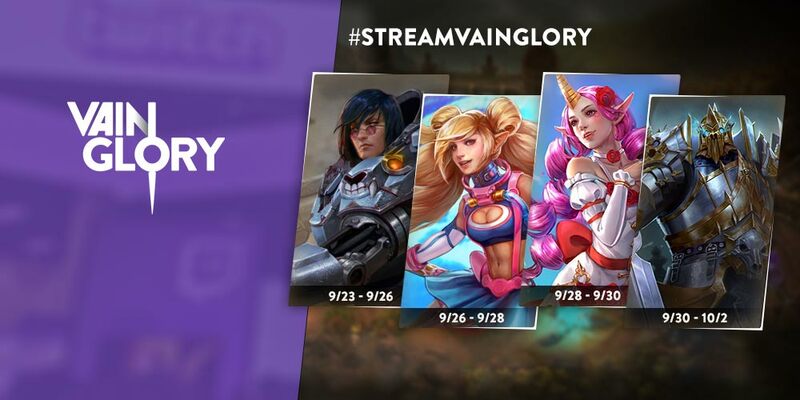 To celebrate Vainglory’s presence at TwitchCon, we are proud to announce the Vainglory Streamer Contest! 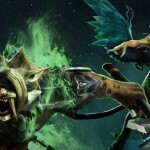 Are you a fan of streamers and Vainglory? Then this is the contest for you! To win free hero and skin unlocks, tweet at your favorite Streamer and tell them why you want them to stream Vainglory. All tweets must include @Vainglory and #StreamVainglory. 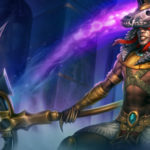 The contest runs from September 23rd, 9:00AM PDT to October 2nd, 9:00AM PDT. Your tweet must not start with the @ symbol. Don’t have only one favorite? You can tweet as many times as you want with different streamer. You can participate every day with a new entry. From 09/23 to 09/26: Tweet for a chance to win the new hero Baron! Winners will be announced daily via our twitter account @Vainglory. Keep your eyes on Vainglory’s social media accounts for the latest updates, videos and contests. See you at TwitchCon!